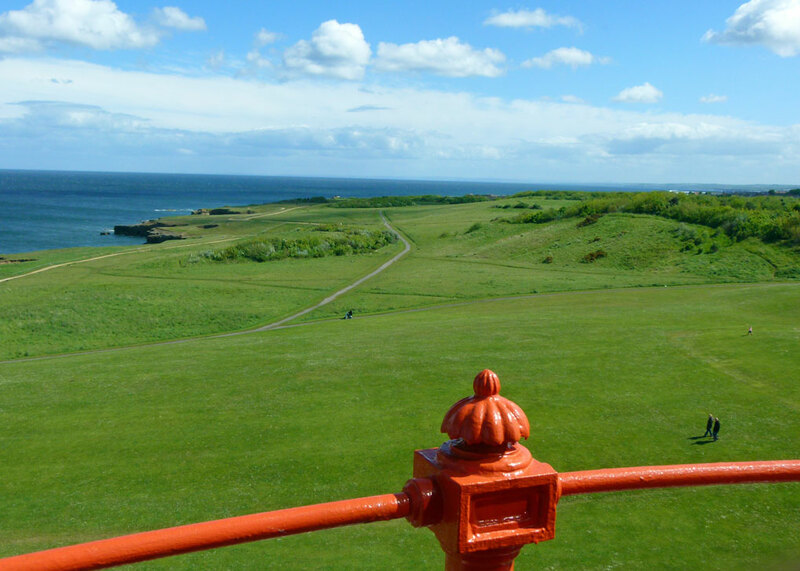 I journeyed to Souter from Gateshead through seemingly endless housing estates. The drive seemed curiously out of time, as though my car was in a bubble of the past, a mood somehow pricked at the first, innocent, exciting, sight of the sea. 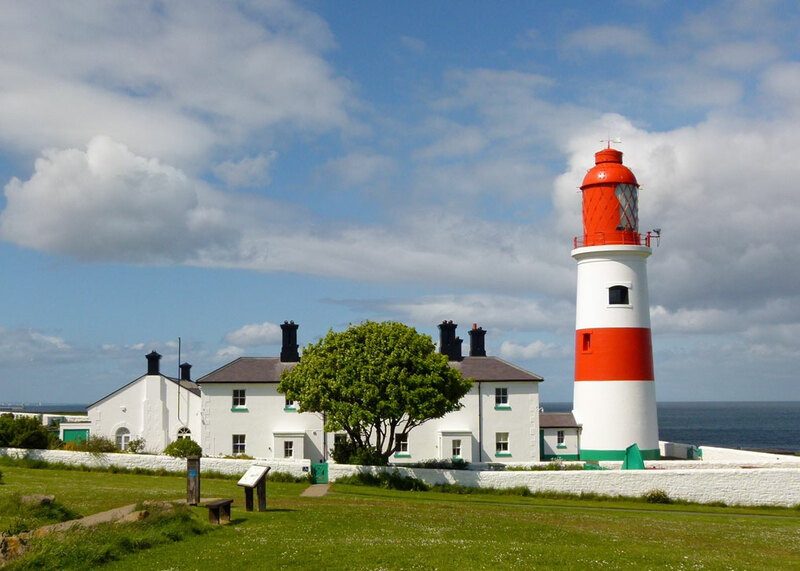 Souter is easy to find; but you shouldn’t miss spotting a lighthouse, should you – even in fog. Actually, the distinctive bands, which I had always thought were white and red, are in fact white and a shade of international orange. So there you go. The English coast between the rivers Tyne and Tees is (apparently) the most dangerous stretch in the British Isles, with an average of 43.8 shipwrecks per mile. There were 20 shipwrecks in 1860 alone. Souter Lighthouse was built by Trinity House, the official lighthouse authority for England, Wales, the Channel Islands and Gibraltar, in 1871. It was the first lighthouse in the world designed to use alternating current electricity: its piercing beam shone out over a 180 degree arc across the wild North Sea twice a minute for five seconds at a time and its foghorn (which still works) could be heard 17 miles away. 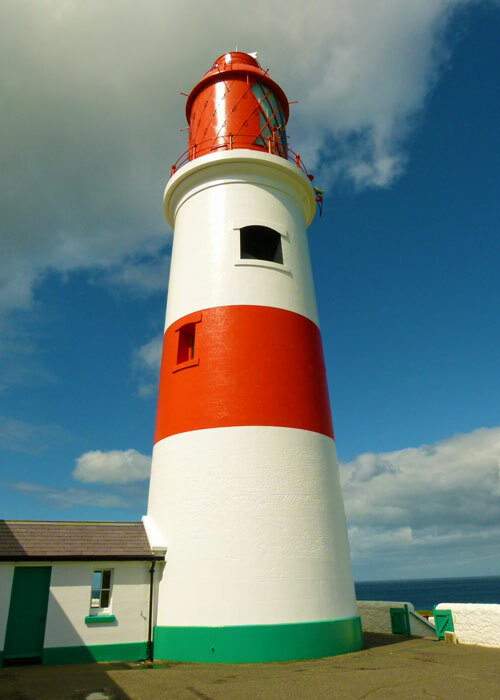 When built, Souter was cutting-edge technology; but it was eventually rendered obsolete by satellite navigation and decommissioned in 1988 – though it transmitted a radio navigation beam until 1999. It was a blustery day, a condition that could well be perfectly normal for Souter. Was it imagination, or did the lighthouse lean slightly to the left? Or maybe the right? 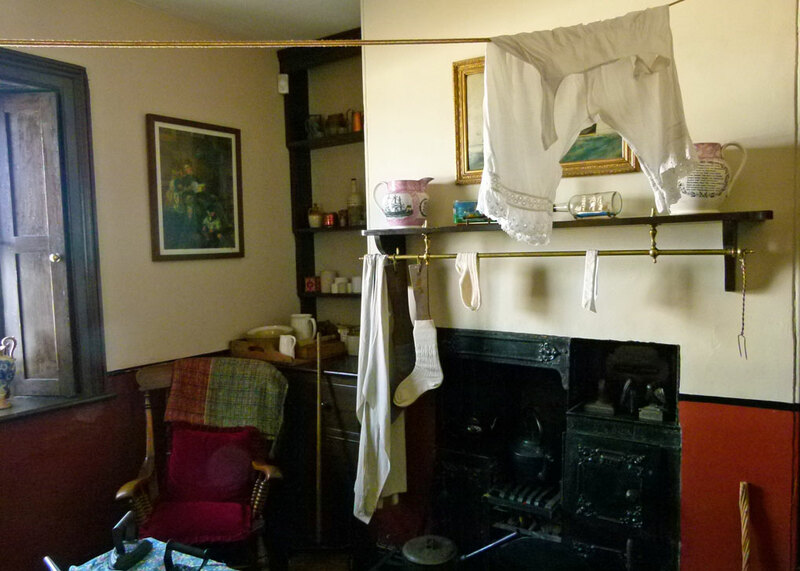 The cheery girl at reception directed me to the engine and wireless rooms, a small museum, the keeper’s cottage and other essentials such as the toilet and shop. 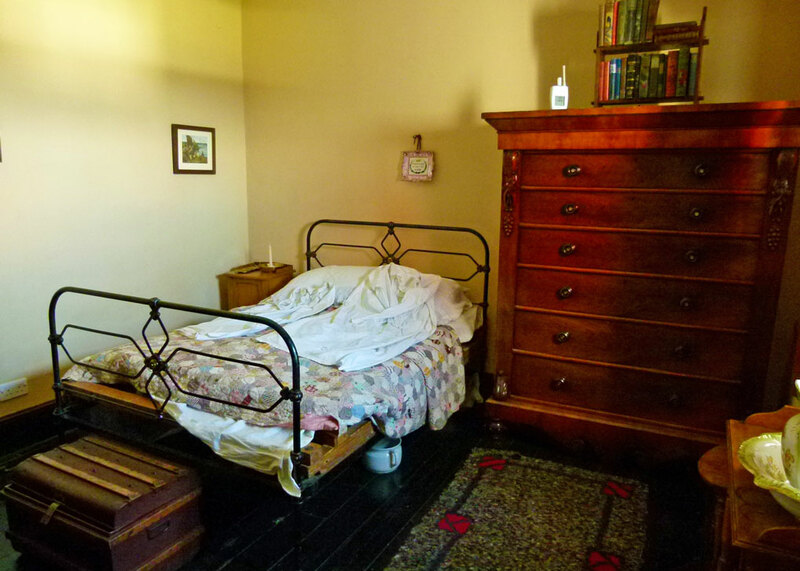 There was a discouraging sign over the bed in the keeper’s bedroom. Inexplicably, the song “I wanna marry a lighthouse keeper” by Erika Eigen appeared from nowhere inside my head and I couldn’t stop humming it the whole way round. And round – because, of course, what you want to do when visiting a lighthouse is go to the top. And I did, all the way up 76 spiral steps unaided without a rope, breathing apparatus, or special equipment of any sort. I even managed to have a pleasant conversation with the very knowledgeable and pleasant guide, who I noticed had tragically lost his left hand and wore a hook in its place; could he be an ex-pirate? 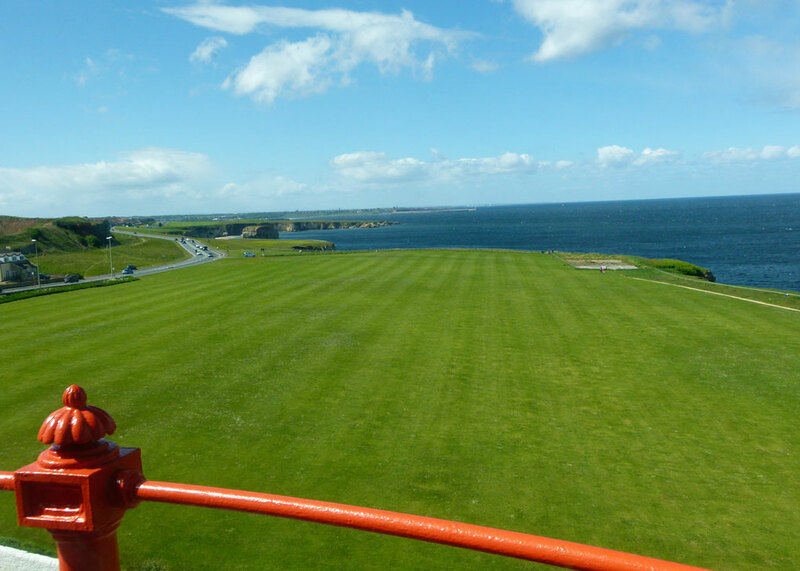 Unsurprisingly, the views from the top of Souter lighthouse are great – great vistas of grassland, cliff and sea stretching to South Shields and Sunderland in either direction. To the south used to be Whitburn Colliery, which mined coal from seams stretching out deep under the sea. At its peak, Whitburn produced 2,600 tons of coal a day; it closed in 1968. There is no visible trace of the mine now. In 1874, the colliery owners built a village for their miners, lime workers and their families, immediately to the north of the lighthouse. 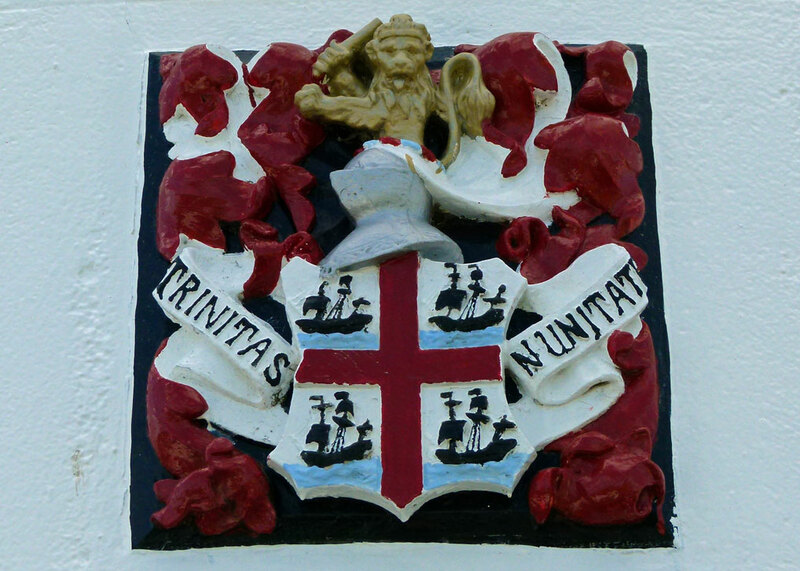 It had 135 houses for around 700 people, with a chapel, Co-op, post office, school – and a railway. For almost 100 years, it was a thriving community where people lived, loved and died. The ‘welfare field’ used to have swings for the children as well as tennis courts, football and cricket pitches. All of that, too, has vanished – demolished due to lack of use, poor sanitation and the threat of erosion; one resident claimed that he could fish from his bedroom window. The green, open, spaces where all this human endeavour took place seem naked. There is no competition to the incessant clamour of the seabirds that nest along the cliffs. It won’t be long before this part of Britain’s industrial past is beyond living memory. I wanna marry a lighthouse keeper…that’ll be okay. Yay. I haven’t heard that in ages and, yes, I remember it in Clockwork Orange too tho not too much about the movie, other than the main actor with the makeup, what’s his name? It’s a cute lighthouse, as they go. And it’s still there! Nice place and post, Mike. Would that be Malcolm McDowell? What you met Hook? As in Captain? I love lighthouses… Maybe I should marry a lighthouse keeper! 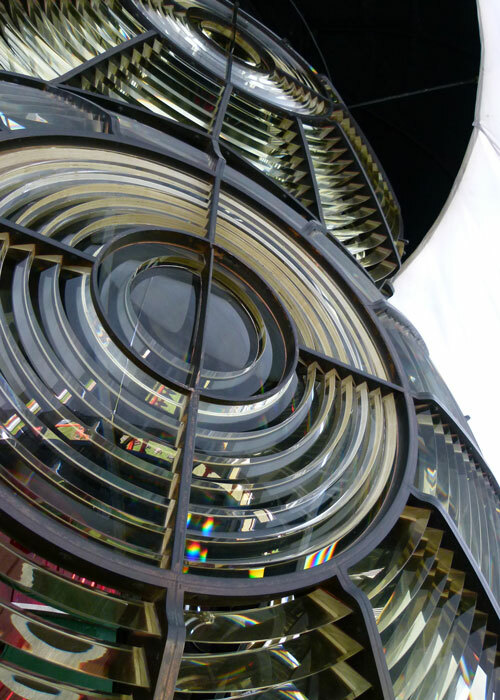 There is something quite lovely about lighthouses and I really enjoyed this post. Like your song choice too! I have passed by this lighthouse on many occasions when I have visited Northumberland, but I have never stopped to visit it! 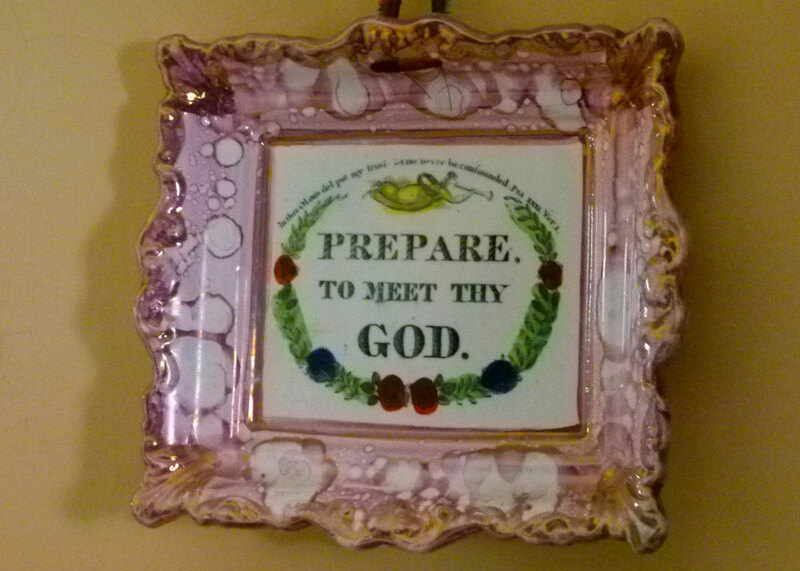 They had one of those pink plaques on sale on Bargain Hunt (or similar) the other day. Didn’t fetch much, as I remember, but I vaguely recall that they were made in Sunderland or thereabouts. I love lighthouses and use to travel to see them along Lake Michigan with my Grandpa. Oh my goodness, I love lighthouses and especially loved these photos. Great piece Mike! Surprised it is such a dangerous coastline when its fairly straight and flat according to the map. You’ve out obscured me with the song Mike as I’d never heard of Sunforest or Erika Eigen so had to look them up. Interesting history- both pop and lighthouse. I only knew the song from Clockwork Orange. There is something romantic and yet mysterious about lighthouses. Well done for climbing to the top and showing us those wonderful views. It’s a beauty! And what a view! I knew I shouldn’t have listened to that song at the end, it will be running around in my head for hours now!! I thought they were white and orange, thanks for confirming that Mike. Lovely photos. Thank you for taking us along, this was a most uplifting visit! Sad to know there is nothing left of the village. I have a “thing” for abandoned/neglected places and am dreaming up a ghost village based on your description. But of course I understand the reasons for it not being there anymore. She’s a Beauty and love how the interior has been decorated as if the occupant(s) had just left momentarily. The view from the top is spectacular! Not sure if I’d make it without a handrail or be able to look off at the view once I got there though. I love light houses! This was is stunning! Quite a beautiful lighthouse, and what views!